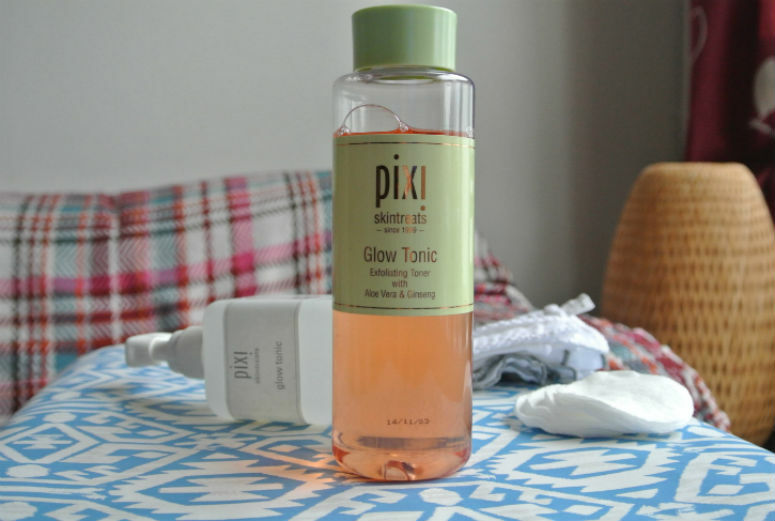 When I started my skincare overhaul, one of the very first things I bought was the Pixi Glow Tonic. I read about it on Caroline Hirons' blog and kept checking back into the store for a few months until it popped back into stock on my birthday (win!). I bought two bottles there and then, just to make sure I wouldn't have to go through the waiting again, and since then it's been pretty much a mainstay in my beauty regime. The fact that the Pixi Glow Tonic is gentle, effective and very affordable. What's really significant is that it works so well on my skin, getting rid of any dead skin cells with its exfoliating properties, all the while smoothing and brightening my complexion. I find it really good with spots, helping them to go down a little faster. Also, I find that after using it, any products I put on after absorb better. I was initially a bit scared about using acids on my face, but the Pixi Glow is so gentle, it's become a step in my cleansing routine that I actually look forward to oddly enough. As you can see, I started using the Glow Tonic back when it was in its no-frills basic packaging, and have recently had to purchase the updated version after seeing how I would do without it for a month (obviously I found myself unable to do without it). The original was more yellow-see-through looking and less floral smelling. It's now a very bright orange colour, and definitely feels a bit more heavily scented to me, but the change hasn't affected the effectiveness of this product, and obviously, I'm still religiously using it, and now can't stand not using an acid toner in my daily routine. The originals cost £16.50, but has now gone up in price to £18, which is still a complete bargain for such an amazing product in my opinion. You can buy it from Pixi themselves, and it is also now stocked in Liberty's. Clay masks: expensive or cheap and cheerful?